Learn what Hearing Aids DO and DO NOT DO for Patients. 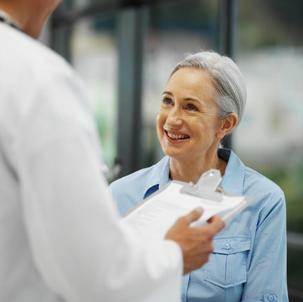 Also how important it is to have an evaluation by a Doctor for your hearing loss. corrected, having a full evaluation by our Doctors in our Kissimmee, Florida office will help put you on the right track. Hearing Loss is no laughing matter. In fact it can be very frustrating to those that suffer from the loss, and their loved ones. Did you know that hearing loss can be so gradual, that you could be unaware of what your missing? That's why you need a team of Doctors with more than 30 years combined experience to ensure a proper examination and diagnosis. In addition to receiving a medical evaluation from our ENT Doctor, our Dr. of Audiology will perform tests to determine if you are a candidate for Hearing Aids. Contact Us Now to see if you are a candidate for Hearing Aids. ​For information about Hearing Loss and Hearing Aids, please visits our links below. Hearing Loss is a Health Issue. Find out why having a medically trained Doctor determine the cause of your hearing loss can help save you thousands in the future not to mention the headaches associated with having to replace the wrong hearing aid. Want to know everything there is to know about Hearing Aids? We have listed a plethora of information in a question and answer format. Simply click the link below to find out more! "Doctor Ruiz helped me find what I was missing in life. Now that I have my Hearing Aids, I don't miss one precious word! We were very happy with the results." Hearing Aids Jose L. Ruiz, M.D. 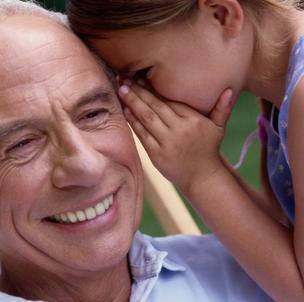 Myths and Facts About Hearing Aids by The American Speech Language Hearing Assoc. 1. They are not required to earn a college degree. 2. They may only have a High School Diploma. 3. They are not allowed to test children under the age of 19. 4. They are trained to sell hearing aids. Why choose an ENT Doctor and Dr. of Audiology over a "Hearing Aid Store"? Aids, Ethics, Otoacoustics, Counseling, Balance, Acoustics, Pharmacology, Diagnostics and Health. 2. Audiologist perform specialized tests of both hearing and balance. 3. Our Audiologist takes Post Graduate University Examinations in Audiology. 4. Our Audiologist is trained in the identification and diagnosis of hearing problems. 5. Our Audiologist has completed training of every hearing aid she dispenses and the instruments capabilities. 1 YEAR ON THE JOB STUDY TO BECOME A "HEARING AID SPECIALIST"
The Choice is Yours, What Not See a Doctor? It Doesn't Cost Anymore. Contact Us Now to see if you are a candidate for Hearing Aids at 407-518-1810. •What is a hearing aid? •How can hearing aids help? •How can I find out if I need a hearing aid? •Are there different styles of hearing aids? •Do all hearing aids work the same way? •Which hearing aid will work best for me? •What questions should I ask before buying a hearing aid? •How can I adjust to my hearing aid? •How can I care for my hearing aid? •Are new types of aids available? •What research is being done on hearing aids? •Behind-the-ear (BTE) hearing aids consist of a hard plastic case worn behind the ear and connected to a plastic earmold that fits inside the outer ear. The electronic parts are held in the case behind the ear. Sound travels from the hearing aid through the earmold and into the ear. BTE aids are used by people of all ages for mild to profound hearing loss. •In-the-ear (ITE) hearing aids fit completely inside the outer ear and are used for mild to severe hearing loss. The case holding the electronic components is made of hard plastic. Some ITE aids may have certain added features installed, such as a telecoil. A telecoil is a small magnetic coil that allows users to receive sound through the circuitry of the hearing aid, rather than through its microphone. This makes it easier to hear conversations over the telephone. A telecoil also helps people hear in public facilities that have installed special sound systems, called induction loop systems. Induction loop systems can be found in many churches, schools, airports, and auditoriums. ITE aids usually are not worn by young children because the casings need to be replaced often as the ear grows. •Canal aids fit into the ear canal and are available in two styles. The in-the-canal (ITC) hearing aid is made to fit the size and shape of a person’s ear canal. A completely-in-canal (CIC) hearing aid is nearly hidden in the ear canal. Both types are used for mild to moderately severe hearing loss. Analog aids convert sound waves into electrical signals, which are amplified. Analog/adjustable hearing aids are custom built to meet the needs of each user. The aid is programmed by the manufacturer according to the specifications recommended by your audiologist. Analog/programmable hearing aids have more than one program or setting. An audiologist can program the aid using a computer, and the user can change the program for different listening environments—from a small, quiet room to a crowded restaurant to large, open areas, such as a theater or stadium. Analog/programmable circuitry can be used in all types of hearing aids. Analog aids usually are less expensive than digital aids. •What features would be most useful to me? •What is the total cost of the hearing aid? Do the benefits of newer technologies outweigh the higher costs? •Is there a trial period to test the hearing aids? (Most manufacturers allow a 30- to 60-day trial period during which aids can be returned for a refund.) What fees are nonrefundable if the aids are returned after the trial period? •How long is the warranty? Can it be extended? Does the warranty cover future maintenance and repairs? •Can the audiologist make adjustments and provide servicing and minor repairs? Will loaner aids be provided when repairs are needed? •What instruction does the audiologist provide? •My hearing aid feels uncomfortable. Some individuals may find a hearing aid to be slightly uncomfortable at first. Ask your audiologist how long you should wear your hearing aid while you are adjusting to it. •I get feedback from my hearing aid. A whistling sound can be caused by a hearing aid that does not fit or work well or is clogged by earwax or fluid. See your audiologist for adjustments. •I hear background noise. A hearing aid does not completely separate the sounds you want to hear from the ones you do not want to hear. Sometimes, however, the hearing aid may need to be adjusted. Talk with your audiologist. •I hear a buzzing sound when I use my cell phone. Some people who wear hearing aids or have implanted hearing devices experience problems with the radio frequency interference caused by digital cell phones. Both hearing aids and cell phones are improving, however, so these problems are occurring less often. When you are being fitted for a new hearing aid, take your cell phone with you to see if it will work well with the aid. •Keep hearing aids away from heat and moisture. •Clean hearing aids as instructed. Earwax and ear drainage can damage a hearing aid. •Avoid using hairspray or other hair care products while wearing hearing aids. •Turn off hearing aids when they are not in use. •Keep replacement batteries and small aids away from children and pets. Fortunately, our Doctor of Audiology can recommend and dispense the latest hearing technology right here in our office. You can schedule an appointment by calling 407-518-1810.